Compare two sets of objects, using estimation to determine which is greater. Estimate a number of objects, the length of a line, or the area of a shape. Parameter: error tolerance. 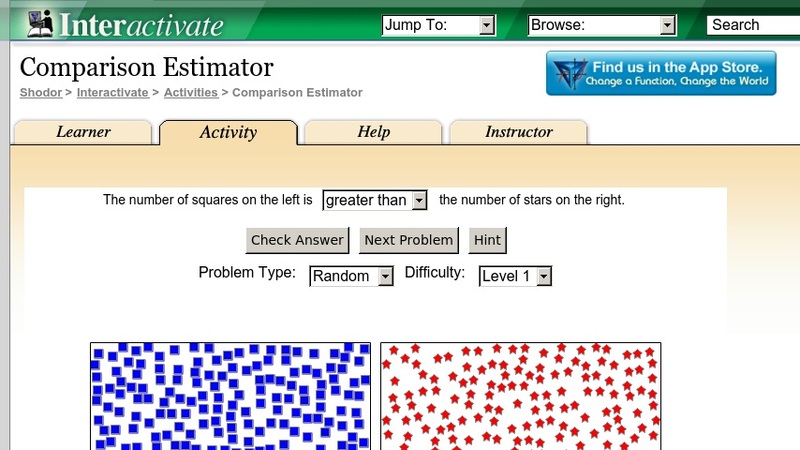 Comparison Estimator is one of the Interactivate assessment explorers.